“Reinventing the wheel”. There has been much hype surrounding electric bikes in recent years but with the Copenhagen Wheel the technology seems to have finally come of age. 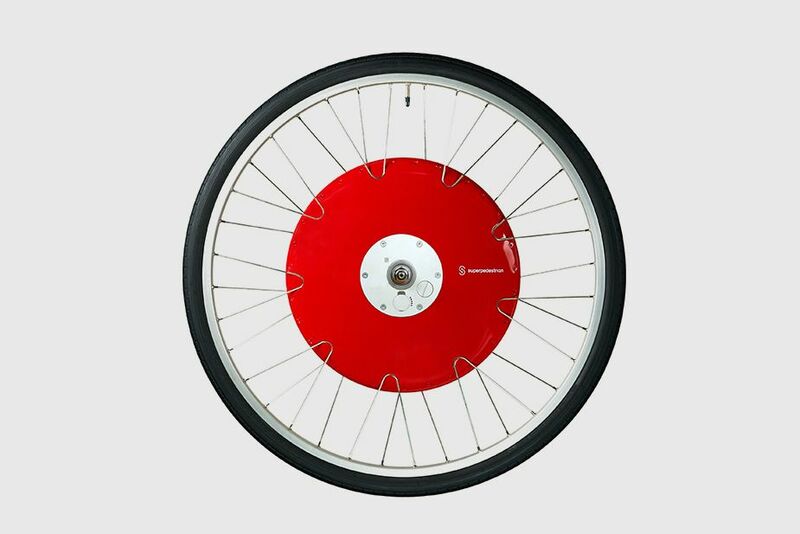 With no battery pack to cart around, a seamless integrated design and power provided automatically just when you need it the Copenhagen Wheel is a revelation. SELECTABLE RIDE MODES – Choose from Turbo, Standard, Eco, and Exercise modes in the app to customize your ride experience. IMMUNE SYSTEM – self diagnostics enable the wheel to be easily maintained. YOUR RIDE, QUANTIFIED – record and measure your ride with the app to get biometrics and ride performance data.